Following on from part 1 and in this article I want to discuss a very obvious but yet under-estimated part of no-limit hold’em. This is the fact that it is a two card game and not a four card or a six card game like at PLO. So what does this very obvious statement have to do with difficulty in playing the game? Well only having two starting cards in your hand means one very important thing. 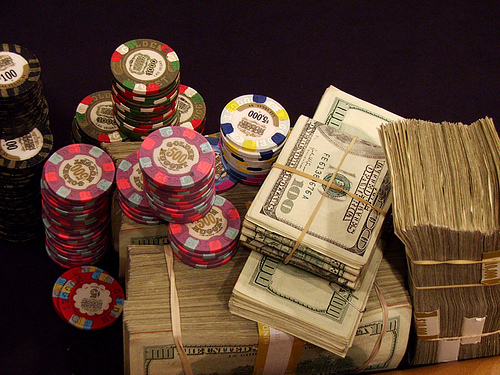 It means that it is much more difficult to flop or to make a strong hand. Now you may say that this isn’t bad news at all but good news as this means more bluffing opportunities. This much is true but the mere knowledge that both you and your opponent are unlikely to have a hand causes many players a lot of problems in this form of poker. Players who understand how difficult it is to make a hand then begin to think that they are quantum leaping their game by being very aggressive. So they start bluff-raising, floating, double and triple barrelling and all the rest of it simply because they know two things……this is that their opponents are unlikely to have a hand and that their aggression will likely win the pot a high percentage of the time. But here comes the problem because if you are putting more money at risk without the necessary skill then who do you think comes out on the positive side of your strategy……certainly not you. Blind aggressive play is not good poker play and if you take these strategies into higher levels then you are going to get picked off by the better players. If your own skill level or lack of skill makes you –EV against the field or against selected players then you are going to be placing more money on the table in these situations. You are also going to be polarising your ranges as well and so the blind aggression will fail miserably because your more astute opponents will begin to call you down lighter. So the fact that it is more difficult to make a hand in a roundabout way is actually getting an awful lot of players into trouble and hence the term “Dumb LAG” and “LAGtard” became part of the poker dictionary because these are terms used to describe poor aggressive players who have no idea what they are doing or why. This is the fact that it is a two card game and not a four card or a six card game like at PLO. So what does this very obvious statement have to do with difficulty in playing the game?